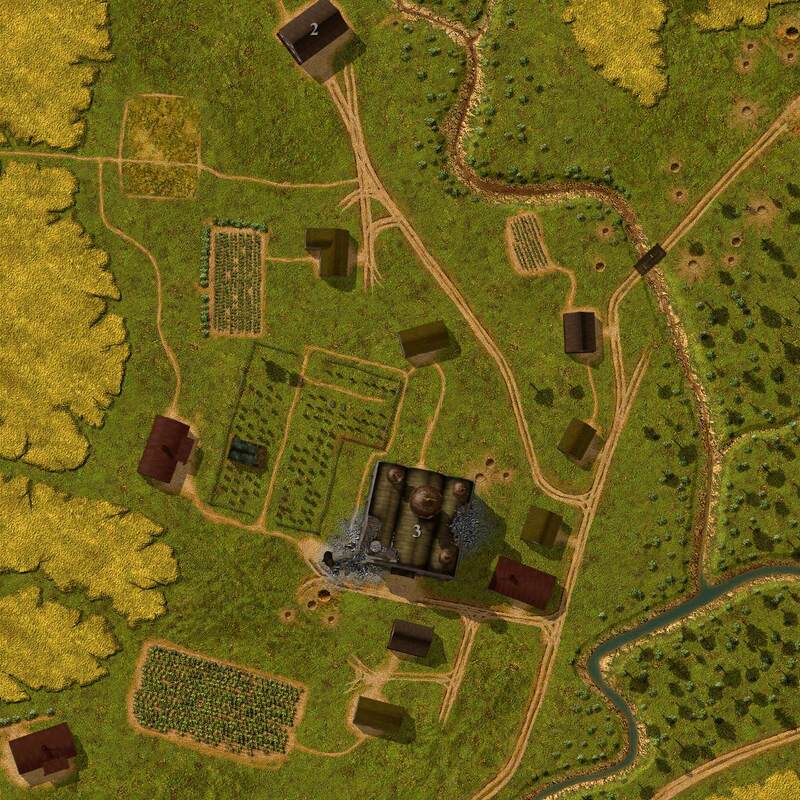 Does anyone still make maps for CC? Status: offline I was curious, since I know this is a pretty old game. I have always wanted to make CC maps, but I never learned how. Anyway, I was just messing around and tried something out. It isn't finished, and I probably won't ever finish it, but I would really like to see some better looking maps for this game! Sure, it is completely unfair to compare a map made today with those made 20 years ago, but it would be fun to see that in-game and play on it. Status: offline Very interesting work. How did you make this? Is the building rendered 3d models? 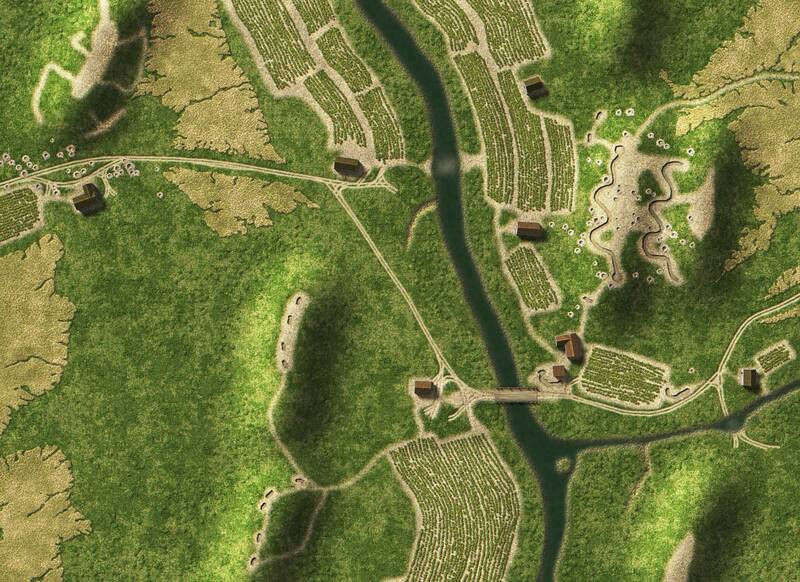 There are just a couple of real map artists that are still making maps now and then. - I have messed about a bit, but I find it very hard and time consuming. I would really like to see more of your work. Status: offline unfortunately this is the only CC map I have made, and I did it real quick and incomplete. I found a video on Youtube https://www.youtube.com/watch?v=AbzbQ5tokE0 There's a tool out there called 5cc and that's where I got the texture to base it from and there are even heightmaps! The entire thing is a 3d render, but of course all the textures were drawn in Gimp in 2d, then textured in Blender. In this example, the ground is a plane (of course), but it is displaced with the black and white height map, so the hills pop out. 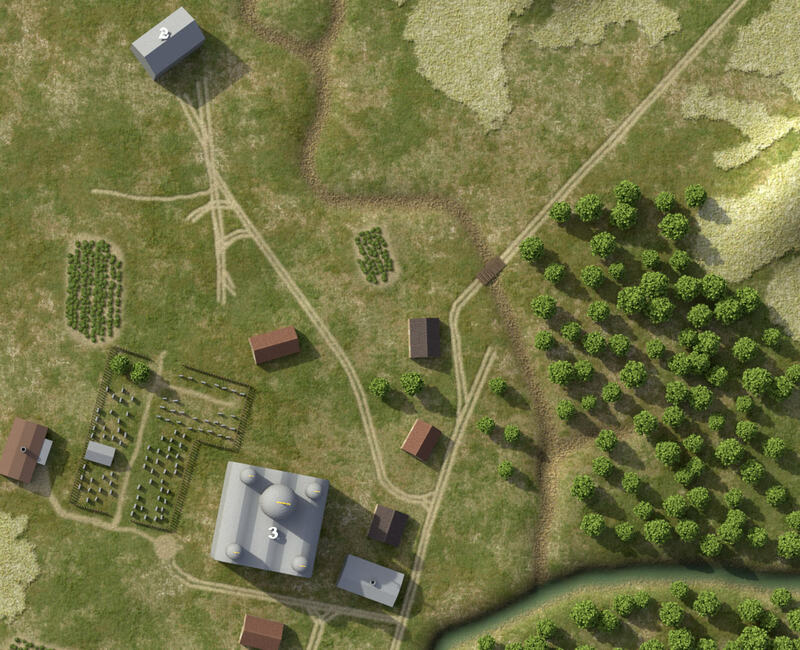 The little graves, houses, trees, and fences are 3d models. I prefer this because it gets the shadows and shading correct. I was wondering why the older CC games like CC2 and CC3 have such saturated textures. I mean really powerful green and yellows. It is because the early CC games have a color limitation? The newer CC releases look much, much better. Status: offline I really like your work here. 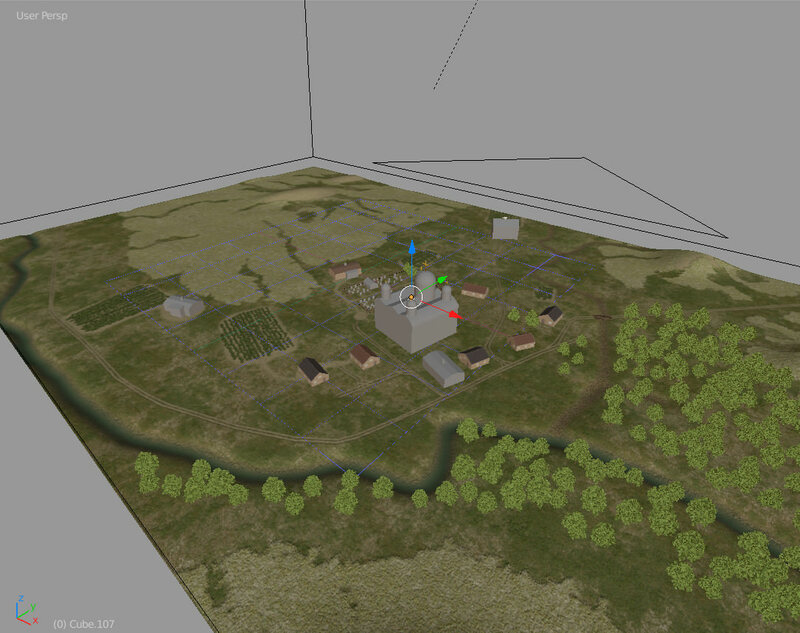 The maps from Gateway to Caen was made partly with blender and I have got some example Blend file, psd and texture files I can send you if interested. It would be great if you could make some new maps for these games. 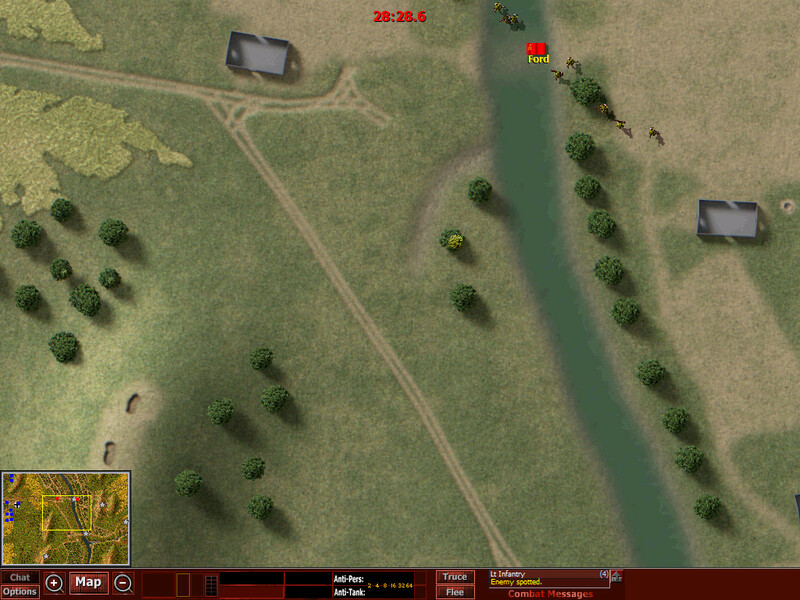 with 5cc program any map from any cc game can be converted to run in other cc games. (some versions can be limited in mapsize, so will need adjusting)- I am not aware of any limiting color palette for maps - I think its a design choice. FI a converted GTC map will look the same in cc3/COI. Status: offline You know, I suspected a 3d tool was used in the latest CC game, but I wasn't 100% sure. The maps really are the nicest ones so far. That's great news that the CC3 maps are not limited by colors. I was afraid it was like SP or something with a limited color palette. I'd love to see what you have regarding CC assets! The lighting can be quickly and easily adjusted. Hell, why not just use an HDRI image to light the whole scene? With the right tone mapping and linear light info for adjustments in 32 bits you can make it look just like a photo of a miniature battle set. I mean it literally can look like that. You could split the render passes for shadows, roofs, trees, whatever . . . and have total control of everything. The maps could look so good the vehicles and men would look totally out of place! Elevations with real height info, so no painting hills, but real hills. It could be truly a perspective map and not orthographic. A purely orthographic view feels less real, in my opinion. If you put a perspective camera high enough in the air and use a powerful enough zoom lens, then it works. 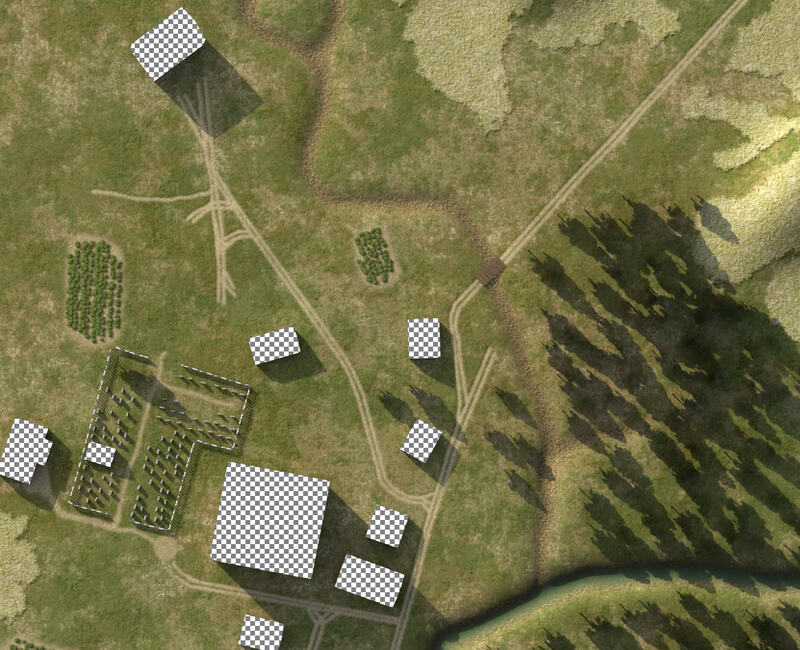 Trying to paint a realistic perspective map (and getting the shading correct) in Photoshop is just too damn hard. CC3 is my favorite. I would love to repaint the default maps. I think that if someone really wanted to learn 3d: modeling, texturing, lighting, and compositing, then having a project of remaking the CC3 stock maps would be an excellent exercise. It doesn't matter if CC3 is an old game, because what is learned in the process is useful in any other contemporary project, and along the way remake a classic game that would be a pleasure to play on. All I did here is exchange the light texture: a single HDRI file changes the lighting. 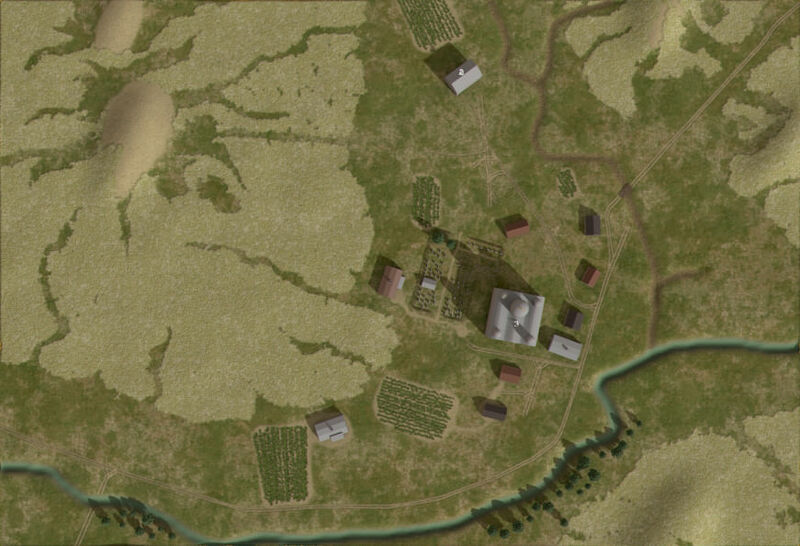 The tone of the map totally changes and the shading adjusts automatically. It is extremely simple. 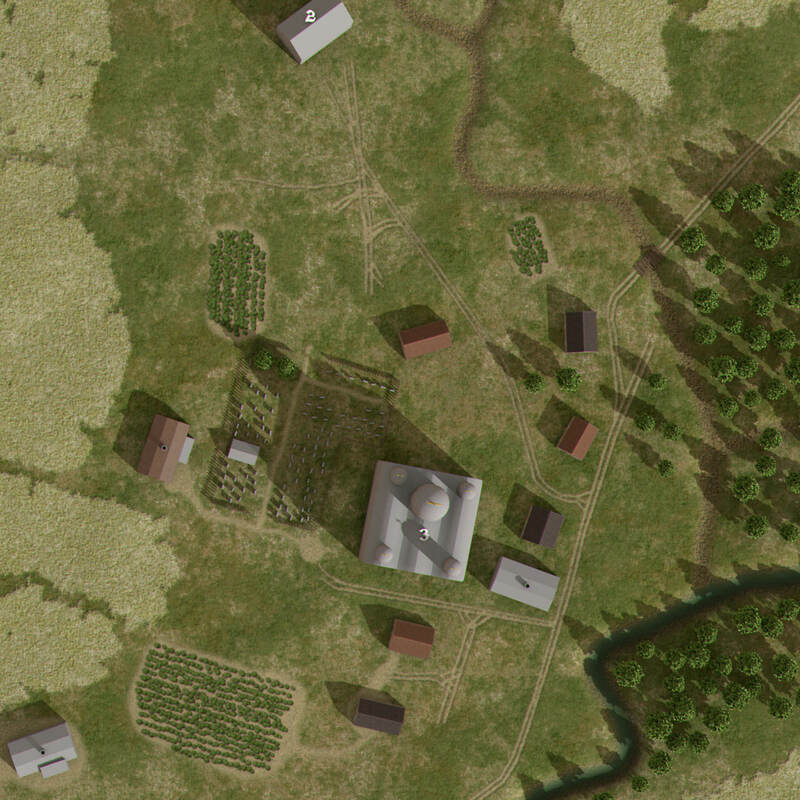 The last image shows how easy it is to separate the roofs and trees. Status: offline Incredible work there. Please keep up. Status: offline Thanks for the compliment! Actually, I would love to remake the classic cc3 maps, but it just isn't realistic for me. I'm hoping to inspire someone to give it a shot. Someone who already has a good grasp of 2d art like making ground textures and roofs, etc. No map coding or anything, just re-draw the classic maps. making CC maps would be a great project to learn all the fundamentals. The new Gimp 2.10 can handle high bit depth, so there would be no cost for the tools and you could work in openexr format. 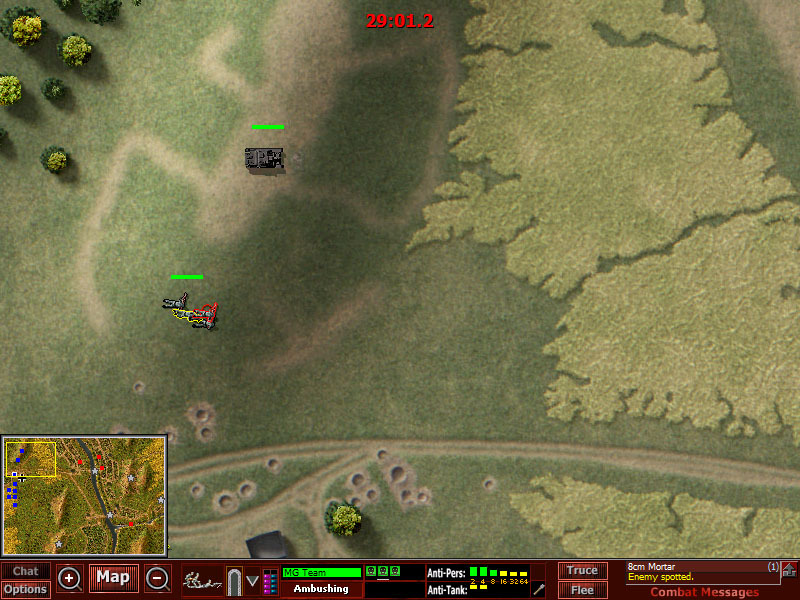 Of course the end result would be a bmp. I think that is what CC uses. Status: offline Hello again Issue8, I uploaded the GtC recources for you now and have PMed you the link. 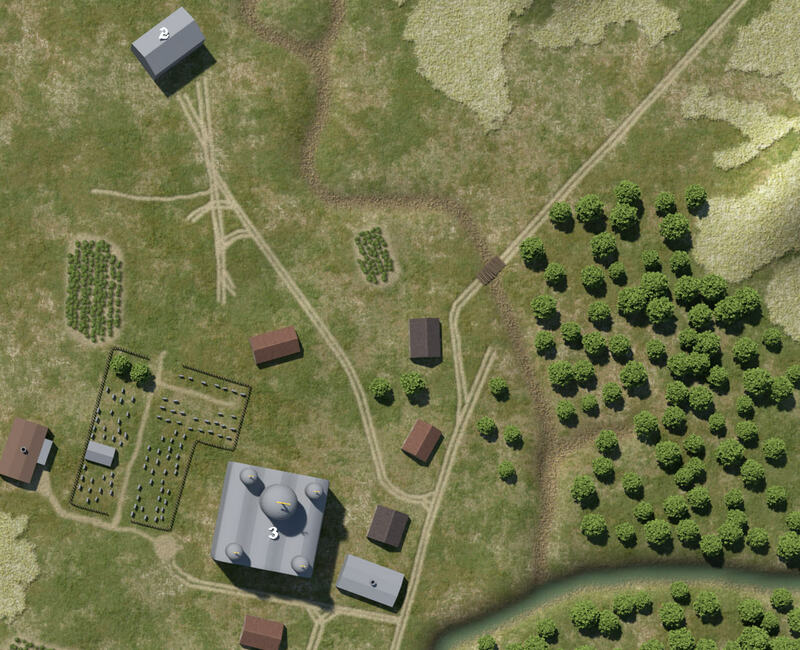 Why do you think remaking the CC3 maps is not realistic to do yourself? - I think you have great results already and within a very short timespan if I understood you correctly. 1. Extract all heightmaps and all map images from CC3 maps. 2. Re-draw the map texture base with updated textures using Gimp or PS. 3. Import to the image to Blender, apply HM with modifier, make 3D objects like houses, trees and other protruting objects and texture them inside Blender or just put a grey material on them and texture in Gimp or PS (Like you will see in the example files). 4. If textures are applied in Blender> Render out layers including the base map texture for roofs, interior and exterior. 4. If textures are not applied in Blender> Render out shadow layers for roofs, interior and exterior on an alpha background as well as the greyscale roofs, interiors and exteriors. 5. Compose everything together in Gimp/PS and add and adjust final details. Probably I am forgetting some things in the above list but I think the basic outline is correct. 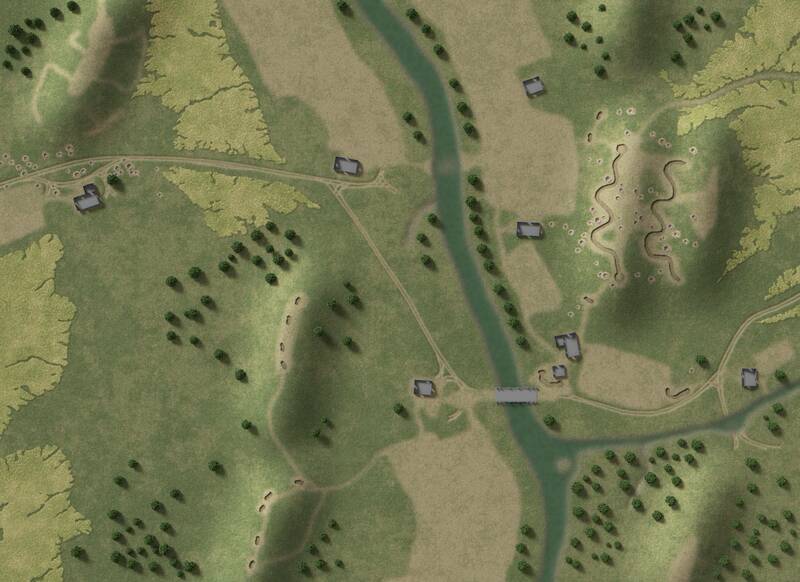 Status: offline I am working on the very first CC3 map, LVOV1 I think the name is. When I start a new grand campaign this is the first map. I am not trying for a satellite view style, but a more stylized, diorama miniature style. Right now I am just trying to get the texture colors right, and this map is missing lots of features. Status: offline Thanks! Actually, I don't think it is anything special, but then I look at the originals and they make my eyes hurt. It is a VERY different style. Status: offline About the trees: is it possible to create treetops that are slightly larger than the default ones and pack that into the terrain file? Status: offline I answered your PM Issue8. Also uploaded some help files for the terrain and tree files for you. Some of the trees in the terrain file are not "Activated" by the elements.txt data file. 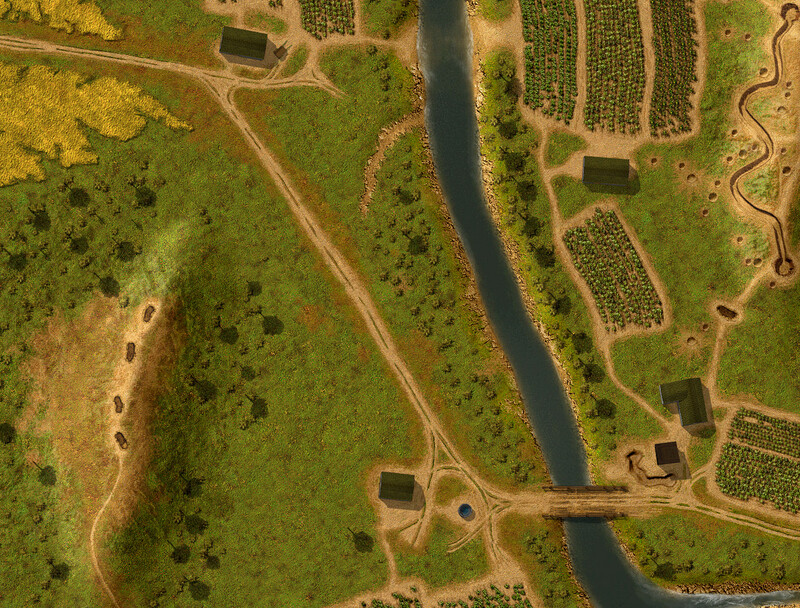 Meaning those tree graphics lacks the coding to appear on the map. Its possible to edit the elements.txt by adding lines with more trees to activate more of the tree graphics "potential" of the terrain file. 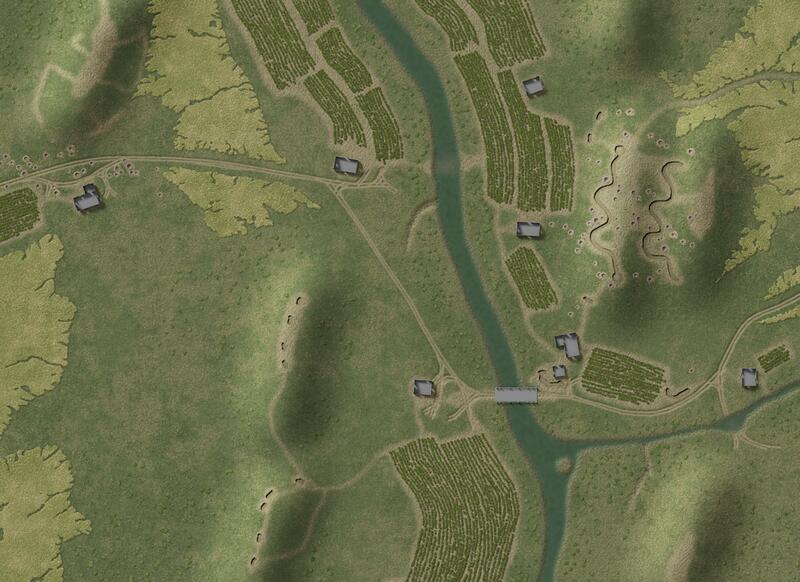 The original maps will need to be slightly recoded to make any such newly linked tree appear on map. Status: offline Wow! I need to fix the trees and roof stuff, but IT WORKS! Man it feels so nice to see the units moving around on this playset. I think the trees need to be changed. And I seems I can make them bigger. These are 32x32 instead of 30x30. I wonder if I will break anything if they are like 48x48? Status: offline Ok I think I have the general base texture done, and I need to do the objects like the buildings, bridge, and tree shadows next and then hopefully this map is done! Status: offline Good progress Issue! The houses and bridge looks very good! I think the colours are too washed out - too desaturated maybe and the textures doesnt look sharp enough too me - I was hoping you would choose a color scheme more like the in your 4th post above. Its your artwork and your choice ofc. However I took your latest render into Photoshop for a very quick adjustment - I sharpened with highpass filter, then adjusted levels and brightness/contrast. I find this more pleasing to the eyes although the grass is probably too green in my edit. How can I link in the picture so the image shows in this post and not just the link? Status: offline Excellent, thanks for tip on linking image to post Issue8. The colour/texture choice is yours and the most important is that you get to something that you find pleasing. Also, like you say -it could be fully adjustable in the end if anyone wants to fiddle some more.